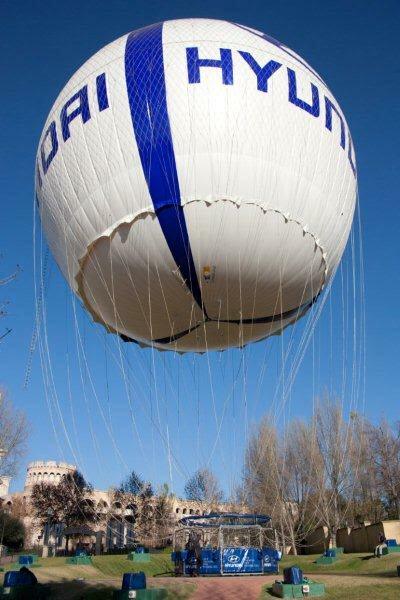 The massive Hyundai branded helium balloon at Montecasino has blown away after it was seen to "blow up" earlier this afternoon leaving one person reportedly injured. The balloon, a popular aerial observation deck for tourists, is reported to be the largest balloon on the continent - reportedly licenced to carry up to 30 passengers. It was tethered to a based station - raised and lowered on a cable. The balloon and suspended observation deck - pictured before today's incident. Share your photos and experiences with us on Twitter via @Radio702.